The Magento 1 BankArt payment module enables card payment support in the Magento store. Configuration is simple. The price list is valid from 1st March 2019. 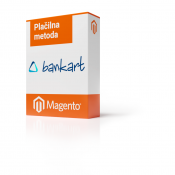 The Magento 2 BankArt payment module enables card payment support in the Magento store. Configuration is simple. The price list is valid from 1st March 2019. 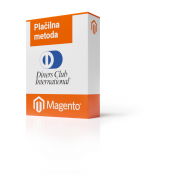 Magento 1 Diners payment module allows you to fully support the Diners payment card, enabling online instalment payment. The price list is valid from 1st March 2019. Magento 2 Diners payment module allows you to fully support the Diners payment card, enabling online instalment payment. The price list is valid from 1st March 2019. Using the Magento shipping method DPD extension you can include shipping mehod DPD to your online store, which means that the products are delivered to your customers by DPD. The price list is valid from 1st March 2019.